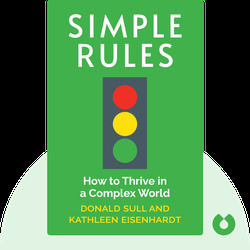 Simple Rules (2015) contains the ultimate rules of thumb that’ll guide you to your goals in your professional life, and your personal life too. The tips provided in these blinks will help you rediscover simplicity in an increasingly complex modern world, without committing you to a crazy checklist that takes over your life. 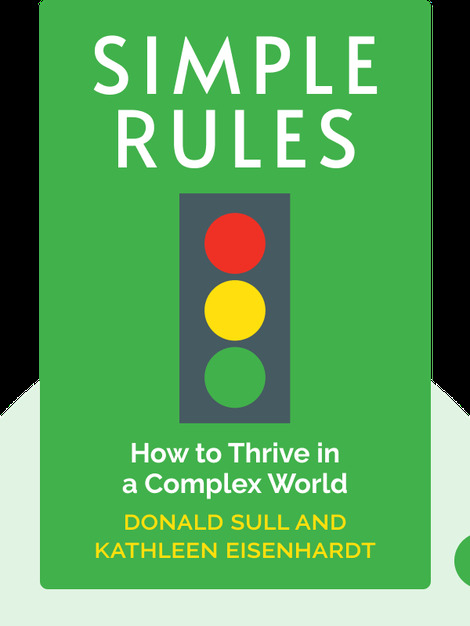 Donald Sull is management guru and expert on strategy and execution in turbulent markets. He is also a former professor at Harvard and the London Business School. Kathleen M. Eisenhardt is a professor of strategy at Stanford’s School of Engineering. She is also the coauthor of Competing on the Edge: Strategy is Structured Chaos.